Harbour phase was held at Changi Naval Base. Sea phase was conducted in the South China Sea. Aimed to enhance the interoperability between the two navies by focusing on advanced naval warfare in three dimensions of air, surface and sub-surface. 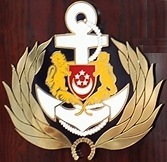 The RSN was represented by three frigates, a missile corvette, a submarine and a maritime patrol aircraft. The IN was represented by three destroyers INS Delhi, INS Ranvijay (third not known), a corvette (name not known), an oiler (INS Jyoti) and a maritime patrol aircraft. During this period of exercise, between 21 to 23 March, 2011 India’s Defence Secretary Mr Pradeep Kumar also visited Singapore and called on Deputy Prime Minister and Minister for Defence Mr Teo Chee Hean. Read more from MINDEF, Singapore. Other Indian Navy ships participated in the exercise are: Destroyer INS Ranvir and Corvette INS Kirch.